Monster Hunter Stories (モンスターハンター ストーリーズ ～旅立ちの章～) is a popular Nintendo 3Ds game in the US. It exists as a miniature version of the popular action game Monster Hunter. This game is completely different from other Monster Hunter game titles because it’s not an online game, but a cool offline game to experience. Monster Hunter Stories has been very successful with the Nintendo 3DS platform, and there’s no reason for Capcom not to launch an official version for Android and iOS. Monster Hunter Stories is now available for download, but keep in mind that this is a paid game. You will have to spend $ 15.67 to own the mobile version of this game, in general this amount is not too large when compared with its 3DS version. Note that the current game is only Japanese, so it is difficult for players to understand the instructions in the game. At first, you will steal a monster egg and incubate it, then you will have to get used to it, name it and train it to join the battle with you. In this game you will be exploring a lot of different locations, powerful monsters, fighting and collecting power items. Unlike all the other game titles in the series, Monster Hunter Stories allows you to change your Hunter and owns an RPG based combat system. You can hatch and make friends with monsters, fight with them and many other new activities. The battles in the game take place in a turn-based manner, in which you and your monsters will together attack the enemy. You have all four weapons to use and change in battle, the Great Sword, Sword & Shield, Hammer, and Hunting Horn. Depending on the weapon you use, you can use many different skills, as well as other items. There are 4 types of attacks. You can choose one of 4 types of attacks against enemies: Technique, Speed, or Power. In it, they counteract each other. For more power, you can carry Kinship Stone, a stone that boosts the monsters. And after each battle, you and the Monsties will gain experience points, which will help you level up. You will also find items left behind by your enemies. You can make a Companion Monster stronger by using the Transmission Ceremony feature, in which you convert Bond Genes into monsters and activate their stats and abilities. Using Transmission Ceremony can help you customize your playing style. Every Monster Rider needs items and equipment to continue the journey. You can get quests at the Quest Board in any town you go through to receive quests that can help you earn money in the game, help you purchase equipment such as weapons, ammunition and A variety of other support items. To buy them, you need to go to the Merchants in the towns. In terms of graphics, Monster Hunter Stories owns a beautiful 3D graphics platform, characters are designed in a chibi style but still impressive. Monster Hunter Stories gives players the feel of a high-quality animated film that is interactive and direct. In addition, the sound in the game brings a sense of heroic, impressive. Overall, Monster Hunter Stories is an exciting and rewarding game. Monster Hunter Stories brings the same experience as a Pokémon game from Nintendo. The game has a lot of cool features, allowing you to explore big places, go with the most powerful monsters, and much more. Monster Hunter Stories supports both Android and iOS, and you can download games to experience. 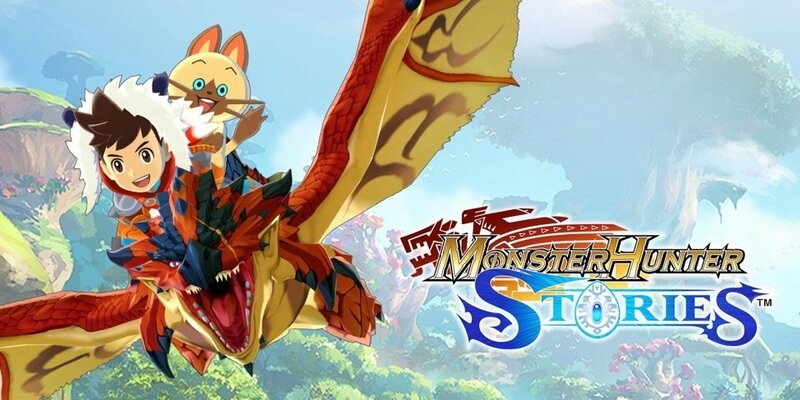 Note that in order to be able to install Monster Hunter Stories on your phone, you will have to change your Apple ID to Japan if using iOS, or for Android download the APK version as an optimal choice.